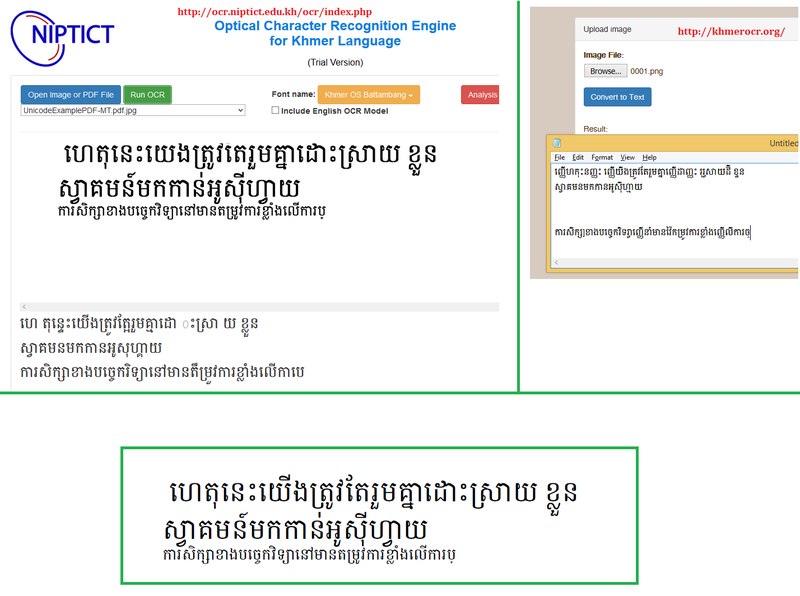 I tested the tool, I make with iText for Khmer render on PDF in my post of http://ask.osify.com/qa/613 which is using Khmer OS Battambang to generate the PDF. The Khmer Language Processing Consortium is happy to announce the Second Annual Conference on Khmer Natural language Processing (KNLP 2015), where all its members and others working in this field bring together their work in an effort to collaboratively advance together towards building practical Natural Language Processing for Khmer. The first annual conference took place in October 2014. 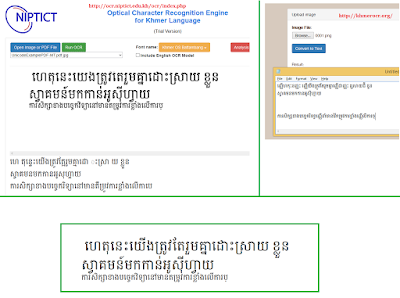 The Khmer Natural Language Processing Consortium, created in 2014, groups universities, NGOs, private companies and researchers interested on accelerating – through close coordination and collaboration – the creation of effective natural language processing tools for Khmer language. These tools will be used to improve access to information and communication in this language. The Conference will address a range of critically important issues and themes relating to the Khmer Natural Language Processing community. Plenary speakers include some of the leading thinkers in these areas. 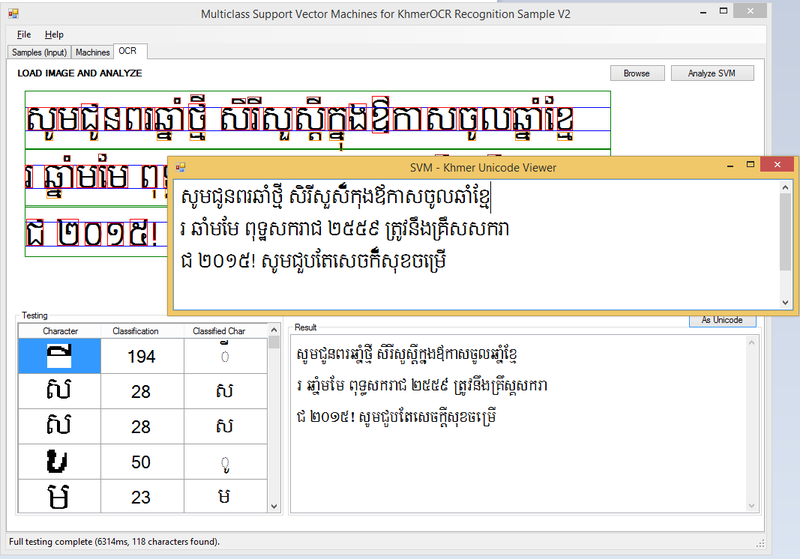 • Automatic Translation to and from Khmer. 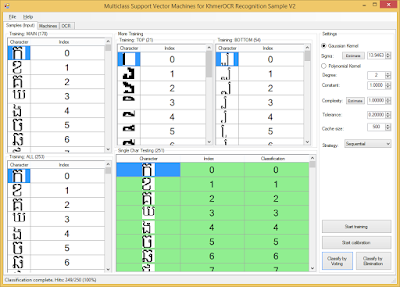 First of all, as I have already stated in my GitHub, do not expect this release app, the full OCR system but it's only my demo at the first sight to answer to my research using Support Vector Machine in 2013 and slightly updated on 2014. Thanks for understanding. Since I do not commit my time to continue on this topic, I would prefer to publish the demo and soon will make up the source code to public as well. 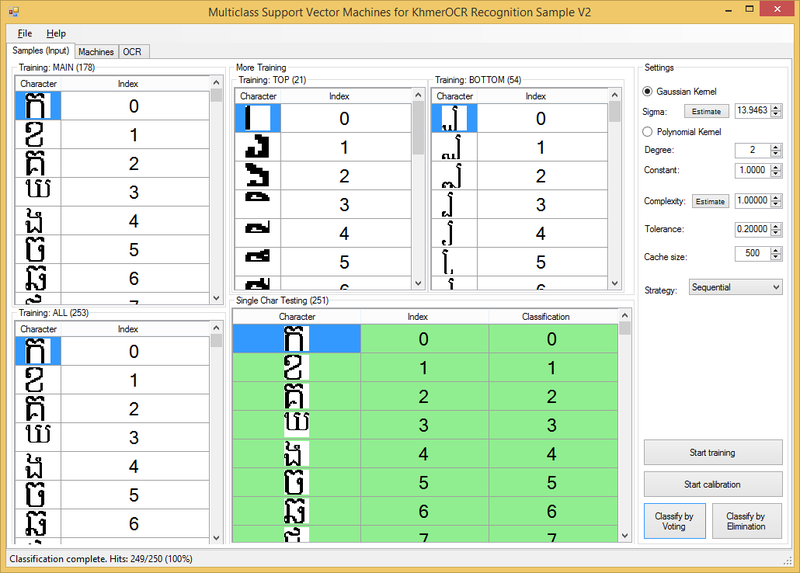 Currently people are working on TesseractOCR and we are waiting for result, of course some result can be found with the OCR Team at khmerocr.org, please try out and support this team if any.